We have been eagerly awaiting the opportunity to upgrade our aging Newtek analog SD live production system for the last few years and when we were presented with the possibility of trying out the new JVC KM-IP4000 Live Production and Streaming Studio, we jumped at the chance. Our system integrator, Timato Systems, coordinated thedemo and JVC personnel flew in to Seattle to help get the system up and running and train our crew on its operation. 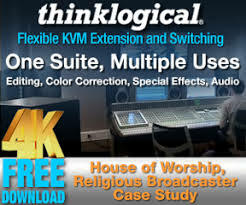 JVC provided the studio system itself, which was made up of a 2RU main unit, with the JVC production studio software installed, a KY-PZ100BU pan-tilt-zoom (PTZ) camera, an RM-LP100U PTZ camera controller, a GY HM250HW professional camcorder “house of worship” version, and a P2418HT 24” touchscreen monitor. This provided us a system of two different camera designs with some unique and powerful features. We will talk about each component in turn. The KM-IP4000 “Studio-in-a-box” is a rack-mounted computer occupying 2RU of space and includes 4 HD/ SD-SDI inputs that support virtually any combination of 1080i/1080p/720p/SD and their respective frame rates. In addition, support for an additional four inputs via NDI, RTSP, RTMP, UDP unicast, UDP multicast, HLS, or SRT means you can easily ingest network video sources without running additional wiring. Of course, the standard caveat about the ability of your network bandwidth to support multiple network sources applies here. A single HDMI input allows local connections from computers, matrix, or other devices. For outputs, you have one HD/SD-SDI and one HDMI, along with one NDI network output, and up to five streaming destinations can be programmed in, meaning that you can live stream to your favorite streaming hosts without needing to find a single host that supports this feature, which is pretty awesome! Rather than list all of the features in-depth, let me just say that this system was designed to include everything you would need in your standard live event. 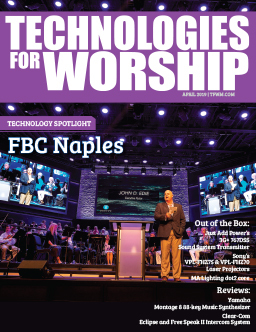 Graphics and overlays can be created and used, pre-recorded clips can be played as a source, and a future firmware update will allow you to have camera control and track objects with your JVC PTZ cameras, making tracking your pastor a lot easier! You also get ISO recording of every camera, along with program recording and a second multi view display output. camera with a direct drive system that is unlike any other in this price range. With this camera, a single Cat6 cable can carry video signal from the camera, power and control to the camera, which makes installation much easier! We chose to mount our PTZ on the stage for dynamic audience shots. We have been very happy with the performance, image quality and the incredible 30x optical zoom, which allows us plenty of zoom range to get nice tight close-ups without having to use the 12x digital zoom, which quickly degrades the image. We really liked the GY-HM250HW camera because it was built specifically for houses of worship and has some amazing features that could really help us with events out in the field. The biggest feature that we love is the ability to create on-screen graphics and overlays via a WiFi connection on a smartphone, computer or tablet. We can produce a quality finished product in the field and save time in post-production, or live stream an event direct from the camera and provide on-screen graphics without the need for additional hardware or software. This is going to be a game changer for our church, allowing our team to provide a level of video coverage for church events we were not able to provide before. The P2418HT 24” touchscreen was the cherry on top; having touchscreen control of the software just made the whole system easier to operate, manipulate and use. While this software can be controlled via keyboard and mouse, the touchscreen is much more efficient and the 24” size provided a large, easy-to-see interface that allowed faster access to critical functions and extremely intuitive control. The support we got from JVC was top-notch and extremely helpful. During the initial setup and configuration, JVC had the capability to remote into the system to help with troubleshooting and any issues we encountered. While we did not have many issues, their ability to “log in” to our system was critical in helping identify issues and get them resolved quickly..
We love the ability to stream out to five streaming hosts simultaneously, though we did have an issue streaming to Facebook with our upload bandwidth – not with the system. The wide range of inputs is pretty mind-boggling; don’t let the five physical input connections fool you! This system can ingest pretty much any HD or network video source, making it possible to produce what would normally be a technically challenging program pretty simply and straight forwardly. Have a missionary team in the field that can do a report via Skype? No problem. How about a Facebook Messenger video chat? Yep, it can do that, too. The user interface (GUI) is intuitive and user friendly; every piece of software takes a little adaptation and learning but JVC has clearly spent time making the layout and controls easy to find and manipulate. Using pre-recorded content is so easy we are planning to start utilizing that functionality a lot more in our services, which should add some more dynamic visual elements to our services. While the interface is very well laid out; the configuration for Facebook Live is a bit more complicated than it needs to be; however, but this could be an issue with Facebook and not with JVC. The tab-driven graphics interface also makes the final result of the graphics difficult to see, so in order to get the best results, we added a companion piece of creation software, as the ability to create and manipulate graphics inside the JVC software is a bit limited by comparison. 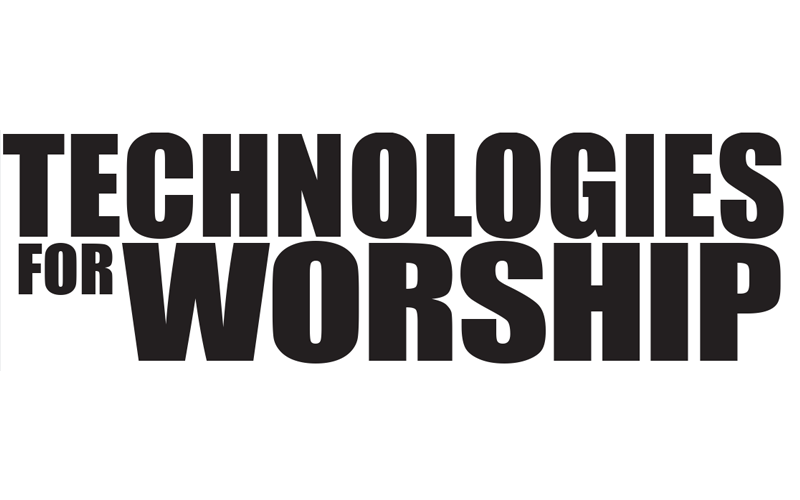 The JVC KM-IP4000 system is extremely powerful and very capable for houses of worship thinking about making an upgrade to their system. We are making the jump from an old composite and S-Video system and so the change in image quality and system capability was enormous and immediately evident. While we are really only using about half of the system’s capability, we feel strongly that this is one of the best values on the market for a live production system simply because of everything you get in it. We are looking forward to using this system to increase our online presence and improve our ability to visually communicate with our membership. Robert Byrd, Jr., an engineer by profession, has worked within church audio/visual teams for the majority of the last 10 years beginning in his home-state of CA and currently at Emerald City Community Seventh-day Adventist Church in Seattle, WA for the past 5 years.